To support the availability of adult counseling services for domestic abuse victims, transportation and the option of the Nights of Safety program. To expand services in Jefferson County including orientation to Alzheimer's, support with disease management, information on programs and services, and access to early detection and treatment information. To expand the Viral Hepatitis Treatment Choice Initiative in Jefferson County. To provide disaster education, preparedness training and disaster assistance in Jefferson County. To provide comprehensive support services to Jefferson County children, teens and their families who are grieving the death of someone significant. To help purchase an additional building to increase storage and services. To expand the Safe Families for Children program in Jefferson County. To purchase program supplies including food for children in need for all schools in Jefferson County. To increase services to youth, schools and families in Jefferson County, including Signs of Suicide, the Olweus Bullying Prevention program and CHADS Family Support. To expand the school based counseling program to Jefferson County which includes providing on-site counselors to 6 area elementary schools and one area High School. To provide trauma-focused counseling services to children who have been legally adopted, are in foster care or are living in alternative family situations. To purchase a new severe weather warning system for the City of Crystal City. To build an open-access professional adult outdoor fitness area. To purchase and develop as a park 5 acres of property adjacent to the Northwest Sport Complex. To recruit and train advocates for children in Jefferson County. To implement the Best Friends program for patients who have Alzheimer's. To implement the Music and Memory program for 44 residents with dementia. To expand and update the agency's current facilities. To purchase an AED and for CPR/AED training. To purchase equipment, AEDs and for EMT training. To recruit and provide first year employment for a part-time network and computer system administrator. To provide emergency crisis funds and medical transportation services for low-income individuals with disabilities, seniors and those in need. To purchase replacement vehicles for the Essential Medical Transportation program. To increase the number of Jefferson County high school and college youth that commit to healthcare careers. To support the gas card program that helps clients be able to drive to job counseling, training, legal appointments, job interviews, medical and testing visits, and trips to the pharmacy and grocery store. Festus Public Library Foundation, Inc.
To purchase a monument sign to better inform the community about programs, including health programs. To purchase an AED for each attendance center. To expand the Second Chance Breakfast program to a 3rd school location. To support the activities of the parish nurse program. To purchase a freezer for the food pantry to allow for additional food storage. To construct a permanent structure to expand the capacity of the DeSoto Farmer's Market. To support and expand the current healthy lifestyle community initiatives in DeSoto. To continue and expand the Girls on the Run and Girls on Track teams in Jefferson County. To support marketing efforts and operating expenses associated with expanding the Expectant Parent program in Jefferson County. To provide home-based counseling and case management services for expectant parents. To expand the Incredible Years Parent Education program to Jefferson County. To support the operating expenses of the toy and food distribution programs. To provide weekend meals and snacks to elementary children in the Crystal City School District that depend upon the free and reduced breakfast and lunch program during the week. To purchase and install a back up generator. To purchase AEDs and training equipment for CPR and AED classes. To expand the current facility and to purchase new equipment including freezer and cooler units. To purchase strength and conditioning equipment for the Hillsboro R-3 School District. To recruit and provide first year employment for a part-time technology assistant to help with external communications and increase visibility of retreat programs. To purchase a shredder to expand employment programs at the Sheltered Workshop. To establish a Holistic Wellness Program for students, faculty and staff. To purchase an Anatomage Table for use in the health technology curriculum. To provide scholarships to students in the six health occupation programs. To assist in purchasing two additional buses for the JeffCo Express program. To assist in providing two additional routes through the JeffCo Express program and implement a Volunteer Driver and Half Price Voucher program. For lobby improvements, replacing the pool steps and other facility improvements. To assist the agency in upgrading its technology infrastructure. To purchase a new Mobile Dental Van that serves over 1,300 students in Jefferson County. To expand the current basic life support capabilities that the agency can perform. To implement a health education program on the three life-style choices contributing to the four deadliest diseases in Jefferson County. To purchase AEDs for the 3 branches and training of 15 staff. To expand the prescription drug abuse prevention program, including the purchase of 2 permanent prescription drug boxes. To purchase a lawn mower and a replacement heating and a/c unit for the facility. To establish a Veterans Court program in Jefferson County. To assist in building a new home. To purchase diapers, wet wipes and educational materials for participants in the WIC program. To assess the indoor air quality of homes and to make the necessary improvements for families that lack resources to keep their homes healthy. To purchase food and for general operating expenses. To expand mental health counseling services in Jefferson County. To purchase an AED for each vehicle. To maintain hot home-delivered meals in Jefferson County. To support the congregate and home delivered meal program in Jefferson County. Mini School of Jefferson County Inc.
To hire a consultant to assist with financial and business planning. To support public education programs focused on healthcare in Jefferson County. To provide Red Ribbon Leadership Training in Jefferson County and to allow 25 Jefferson County students to attend the Prevention Leadership Conference. To construct a fixed shelter over the bocce courts to benefit individuals with developmental disabilities. To purchase items for the KidStart program that are designed to support children with developmental disabilities in their gross motor, fine motor and sensory development. To help develop a five year strategic plan. To provide nurse home visitation services to an additional 30 families in Jefferson County. To develop a school wide comprehensive nutrition and physical activity program. To assist the organization in implementing a care team approach including a school nurse and counselor. To maintain and expand the Medical Case Management program for children in foster care. To purchase 6 OAE machines to perform free hearing screenings. To purchase an OAE machine to perform free hearing screenings. To purchase diapers to use as an incentive for participation in the program and screenings. To perform a study to assess the feasibility of expanding the agency. To provide employee training and increase employee retention. To construct two six-bed replacement homes and renovate existing space to increase respite services. To expand and pave the parking area at the Senior Center. To purchase a vehicle to implement a Drivers Education program in the Jefferson R7 School District. To purchase supplies and equipment for the respite program. To assist with operating expenses and provide scholarships for children with disabilities. To purchase a therapy horse. To provide an on-site counselor at the school. To purchase Strike Force Power Soccer Wheelchairs for individuals with physical disabilities. To provide program support to expand the program to Jefferson County. To purchase AEDs and for basic first aid and AED training. To support residential and family support programs and services at the new Sunnyhill Independence Center. To construct a third residence facility at the agency's Adventure Camp which will serve approximately 600-700 additional youth and adults with disabilities each year. To purchase a new commercial dishwasher for the male residential facility in High Ridge. To support the emergency services program. To maintain the Student Advocate and Advising program at Northwest and Grandview High Schools. To make repairs to the main facility. To purchase and recondition player and training equipment. 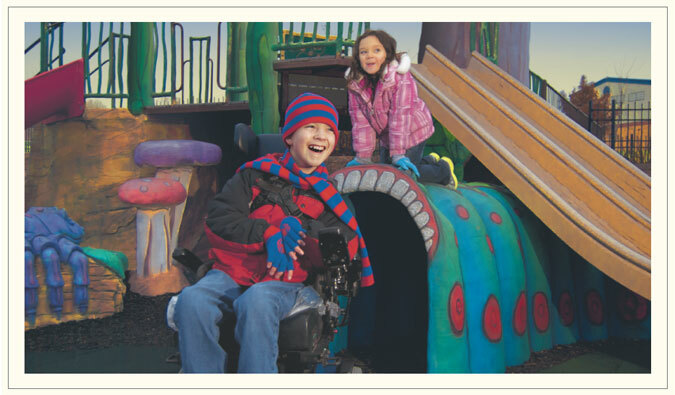 To help construct a universally accessible playground in Herculaneum - Kade's Playground. To expand dental services for children and pregnant women in Jefferson County who are low-income. To purchase new and updated dental equipment and supplies. To purchase 7 cardiac monitors.